Both Watford and Bournemouth have made eye-catching starts to the new Premier League season. Mark O'Haire examines the best bets available when the two teams lock horns at Vicarage Road on Saturday. "A huge 15/23 (65%) of the Hornets’ Vicarage Road fixtures have featured Over 2.5 Goals – Watford scoring in 19 of those matches – and Bournemouth have followed suit in 14/22 (64%) of their road trips in the same sample." 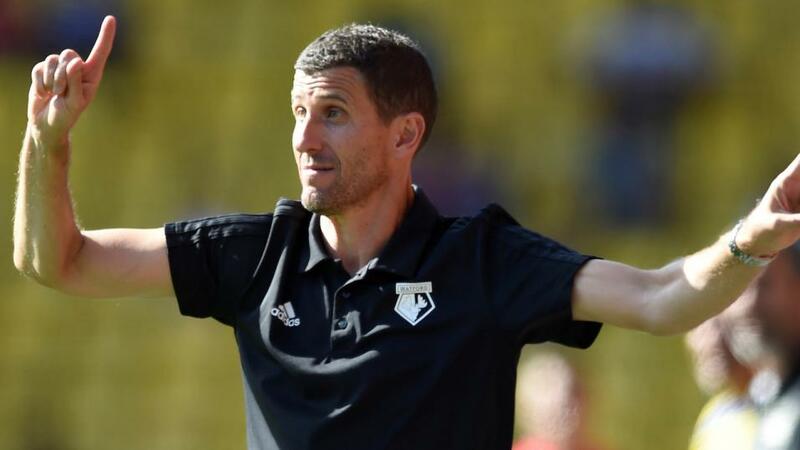 Watford manager Javi Gracia said his team "deserved more" for their efforts when going down 2-0 at Arsenal last weekend. The Hornets out-shot their hosts 14-9 and fired in five on-target attempts to the Gunners two at The Emirates but failed to turn their positive performance into points. It was a similar story in Watford's previous encounter against Fulham at Craven Cottage as they were held 1-1, and the Hertfordshire club have now picked up a solitary point (W0-D1-L2) in three outings since they opened their season with a four-match winning streak. Gracia was without Daryl Janmaat, Miguel Britos, Tom Cleverley, Stefano Okaka, Sebastian Prodl, and Gerard Deulofeu last weekend but the latter trio are all back training with the first-team and could be available for selection on Saturday. Deulofeu has yet to feature for the Hornets since making a permanent move to Vicarage Road from Barcelona in the summer. Bournemouth made it four Premier League wins from their opening seven games when overcoming Crystal Palace on Monday night. Junior Stanislas' late penalty ensured the Cherries of a 2-1 success after David Brooks' early opener was cancelled out in the second-half by the Eagles. After seeing his side pegged back, Bournemouth boss Eddie Howe responded by removing goalscorer Brooks and switching to a 4-5-1 formation, which helped the hosts cope better with an improved Palace. The Cherries had looked comfortable early on, energetically pressing high and playing sharp passes. Howe suggested the victory could have been easier on the heart had Callum Wilson and Dan Gosling done better with excellent openings but the south coast side were happy to toast their best start to a Premier League season. Defender Charlie Daniels has returned to training but this match might come too soon. As Premier League clubs, Watford and Bournemouth have been well-matched in head-to-head meetings with five of their six contests ending all-square. There's [3.75] available on a fifth successive stalemate between the two at Vicarage Road. Manchester United are the only side to depart Hertfordshire with maximum points this term and only four of Watford's past 15 fixtures against sides outside of the Big Six here have ended in defeat (W7-D4-L4). The Hornets are operating off a 59% Expected Goals from open play ratio and are worthy [2.18] favourites. Bournemouth [3.55] have struggled on the road since arriving in the top-flight. The Cherries hold a 50% loss rate on their travels since the start of last season and if we look at their results in games as guests since promotion, the visitors have delivered just W14-D16-L30 - again losing half of their overall away days. Neither Watford nor Bournemouth have managed a clean sheet since the opening day of the season, and if we look at the two teams' records in respective home/away Premier League outings since the beginning of 2017/18, they've combined to keep only nine shutouts in 45 matches. In fact, a huge 15/23 (65%) of the Hornets' Vicarage Road fixtures have featured Over 2.5 Goals - Watford scoring in 19 of those matches - and Bournemouth have followed suit in 14/22 (64%) of their road trips in the same sample. Three of their past four head-to-head contests have concluded as 2-2 draws so the [1.79] available on Over 2.5 Goals has to hold plenty of appeal on Saturday. Six of the past nine meetings between Watford and Bournemouth have ended in score draws, but we can play things a little safer by taking the 15/8 available on Betfair Sportsbook's Same Game Multi for Over 2.5 Goals, Both Teams To Score and Watford in the Double Chance market. Such a selection would provide profit should the Hornets win 2-1, 3-1, 4-1 or larger, or share a 2-2 or 3-3 draw when welcoming Bournemouth.